Pasta is a staple in many people’s meals; it’s versatile, it’s filling and it’s popular on restaurant menus, in the school cafeteria or on our own dinner tables. Who doesn’t love a bowl of pasta from time to time, right? There are so many types and varieties, not to mention the sauces and toppings available for us to choose from. The reality is that eating too much pasta can have a negative impact on your heath and this is why many diets limit how much pasta is consumed. There is a whole host of reasons why people give up on pasta. For some, it’s because of various health reasons. For others, it’s simply because they don’t have the time to cook it. The inclusion of gluten and high carbs are two of the main reasons people are looking for pasta alternatives to include in their diets. “Gluten is a protein found in rye, wheat and barley. People with gluten intolerance, sometimes called celiac disease, avoid any foods made with wheat, including pasta,” says Marina. “Eating too much pasta may cause strong cravings for carb-loaded foods. When consumed in high quantities, carbs can cause weight gain and create a roller-coaster effect on your insulin levels,” according to Dr. Richard Heller and Dr. Rachel Heller, co-authors of The Carbohydrate Addicts Diet. This makes pasta a potential danger for people with a variety of health conditions, especially diabetes. 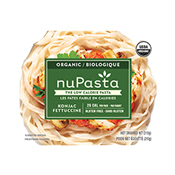 NuPasta Is the Healthy Pasta Alternative You Are Looking For! 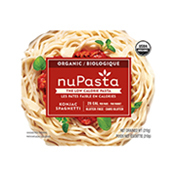 If you love pasta and still want to make it part of your diet, but without all the potential negative health impact associated with eating regular pasta, then try NuPasta. 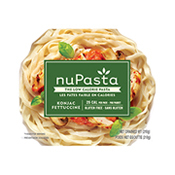 It has all the positive elements that you are looking for in a pasta alternative and healthy meal option. It’s high in fibre, low in carbs, low calorie, and it’s simple to cook, making it the perfect option for students, busy professionals, families, and anyone looking for a quick and healthy meal option. Plus, you can enjoy it the same way as traditional pasta and include all the toppings you did before! Ready to try something new? 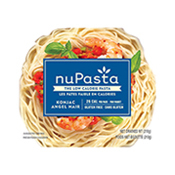 Try NuPasta today! 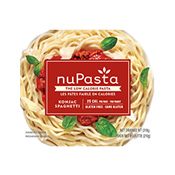 You can purchase NuPasta at these store locations and make it part of a balanced diet.